In our last blog post, The Case of Who’s in Charge: Who’s language will we speak, we got a small taste of how African colonialism and slavery have created realities that affect power dynamics and attitudes in our organizations and communities that persist to this day. From the mid-15th century to 1880, roughly twelve million Africans were torn from their homes and families from Senegal to Angola, reaching the Americas as slaves. Other millions died either during the course of enslavement in Africa or en route to the Americas. These are not facts that can or should be forgotten or set aside. Does post-colonialism exert a negative toll on your organization and people? Is there a way to transform these potentially negative forces into tools for dialogue, understanding and organizational (and societal) transformation? Our Cultural Detective West Africa (covering Senegal, Côte d’Ivoire, Ghana and Nigeria) authors, Doctors Emmanuel Ngomsi and Seidu Sofo, have very ably written materials that address these questions. “While it is true that current expatriate employees are not responsible for slavery and colonialism, or for problems linked to colonialism in this region of the world, they may nevertheless sometimes be perceived by local workers as part of the system responsible for repeated abuses. It is important to be aware of this fact, and how individual actions are likely to be understood in this historical context. We encourage you to seize the opportunity presented by Cultural Detective: West Africa to explore the issues of colonialism and modern-day power dynamics with your West African colleagues. 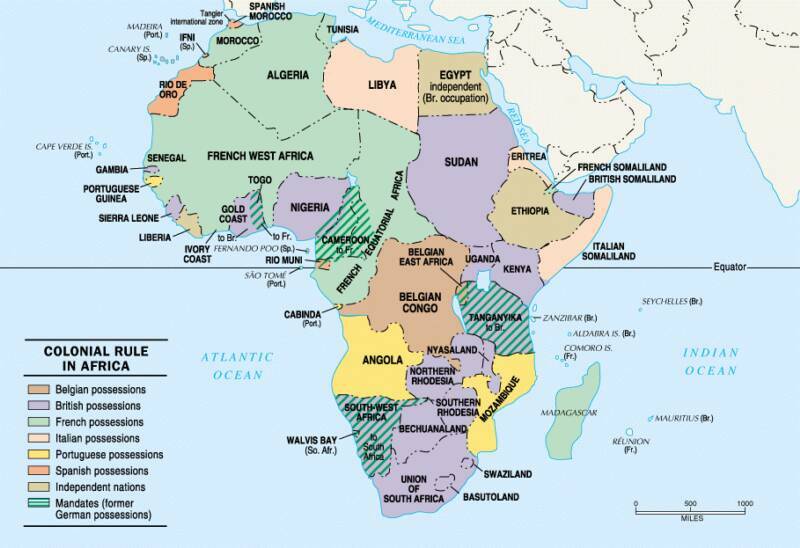 While there is a clear attempt on the part of many scholars (African and non-African) to blame past and current African problems on European colonization, the dynamics of colonialism and neocolonialism are complex issues, and it is crucial that business and non-business people be aware of and sensitive to the history that strongly remains in the minds of professional Africans, and often profoundly affects business relationships. “Within the Participant Materials we have included a supplement addressing the issues of slavery and colonialism as they relate to West Africa. People are curious and want to talk about these issues, and while they can be difficult and sensitive issues to discuss, they create an important dynamic in relationships and should not be ignored. The Cultural Detective Model provides a way to explore these issues in a non-evaluative manner that can promote mutual understanding. Remember that no one point of view is ‘the truth,’ and it is rare that a discussion will result in consensus or agreement. West Africans, Europeans, African Americans, Caucasian Americans, Latin Americans and people in the Caribbean, among others, all have different and sometimes opposing points of view on the causes and outcomes of slavery. Contrary to a common belief among foreigners, West Africans generally are not uncomfortable talking about slavery and are willing to engage in conversations with people who sincerely and genuinely want to explore and learn about slavery and its effects. Today throughout Africa, Europeans, Americans and other ‘White People’ may still be perceived as exploiters and neo-colonizers. Resentment remains because some believe that the best minds and bodies of the African continent were transported to the Americas. And while many agree that slavery is wrong, many West Africans also feel that if ‘Whites’ could have their way politically and socially, slavery would still be practiced. Given the sensitivity toward these issues, foreign business owners need to be particularly mindful of their words and actions. Derogatory acts or sayings by expatriate employers directed toward West African employees are not only unkind but unwise. While private individuals react strongly to such acts, governments may also take swift and decisive action, and some have deported expatriate employers for such misconduct. We eagerly urge you to look through these materials, and put them to good use. We would love to have those of you who work in spaces where you deal with post- and neocolonialism issues to share with us some of your experiences and learnings, so that we might all transform our practices and do our bit to heal this world of ours. This entry was posted in Commentary, How-to and tagged Africa, African American, colonialism, Cross-cultural communication, cross-cultural skills, Cultural Detective, current events from an intercultural perspective, diversity and inclusion, Education and Training, Ghana, global business effectiveness, intercultural competence, multicultural society, post-colonialism, Senegal, Slavery, stereotypes, West Africa, White People by Dianne Hofner Saphiere. Bookmark the permalink.